In the wake of the bombing of Pearl Harbor, the 1942 Rose Bowl was moved from Pasadena to Durham, North Carolina, out of fear of Japanese attacks on the West Coast. It remains the only Rose Bowl game to ever be played outside of Pasadena. Duke University, led by legendary coach Wallace Wade, Sr., faced off against underdog Oregon State College, with both teams preparing for a grueling fight on the football field while their thoughts wandered to the battlefields they would soon be on. 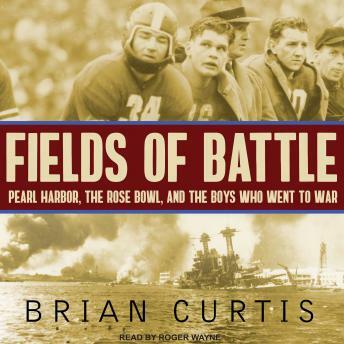 Finally, on New Year's Day 1942, under dark gray skies and occasional rain, the two teams clashed on the gridiron in front of a crowd of 56,000, playing one of the most unforgettable games in history. Shortly afterward, many of the players and coaches entered the military and would quickly become brothers on the battlefield. Scattered around the globe, the lives of Rose Bowl participants would intersect in surprising ways, as they served in Iwo Jima and Normandy, Guadalcanal and the Battle of the Bulge.